CF399A HP LaserJet M401dne Printer - Refurbished with 3 months Return To Base Warranty & Working Consumables. 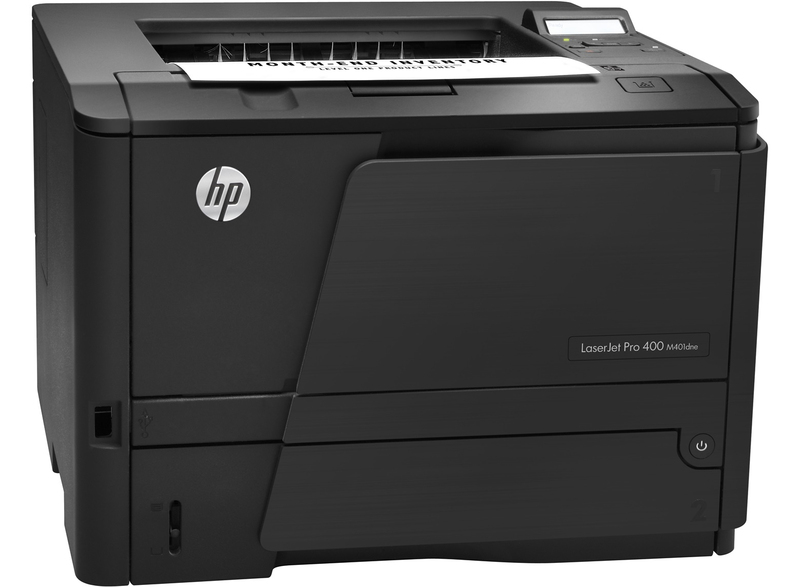 The HP LaserJet M401dne Printer is as good as buying new as all worn parts are replaced. This saves you up to 50% off the price of a brand new printer. We are confident that you will be 100% satisfied with your HP LaserJet M401dne Printer and are here to help with any support questions you may have. The Manufacturers part number/product code for this item is: CF399A. Optimize your day-to-day workflow. Share printing resources on a network and take advantage of fast print speeds. Be productive and save paper using automatic two-sided printing. Printing professional-quality documents at a great value, with outstanding networking and paper-saving features. - Set up this printer quickly in your IT environment, using the HP Universal Print Driver. - Receive consistent results with Original HP LaserJet toner cartridges, and reorder with HP SureSupply. - Save IT time and costs by centralizing printer management with HP Web Jetadmin. - Use business apps and the 3.5-inch (8.89 cm) color touchscreen to access and print from the Web. - Operate your printer with ease, using the 2-line display. Professional-quality output for great value. - Depend on a printer with up to 3000-page recommended monthly page volume—the ideal fit for reliable printing. - Save money by saving energy—HP Auto-On/Auto-Off Technology powers your printer up and down automatically. - Save time with easy-to-install Original HP cartridges, and save more with high-capacity cartridges. - Share printing resources with an Ethernet network. Automatic two-sided printing helps save paper. - Boost productivity with print speeds up to 33 ppm (A4) and 35 ppm letter. Do more with the 800-sheet maximum paper capacity. - Set up and share anywhere in the office with wireless connectivity. Configure wireless networking fast. - And with AirPrint you can simply print wirelessly from your iPad, iPhone, and iPod touch. - Reload paper less often with up to 300-sheet paper capacity.